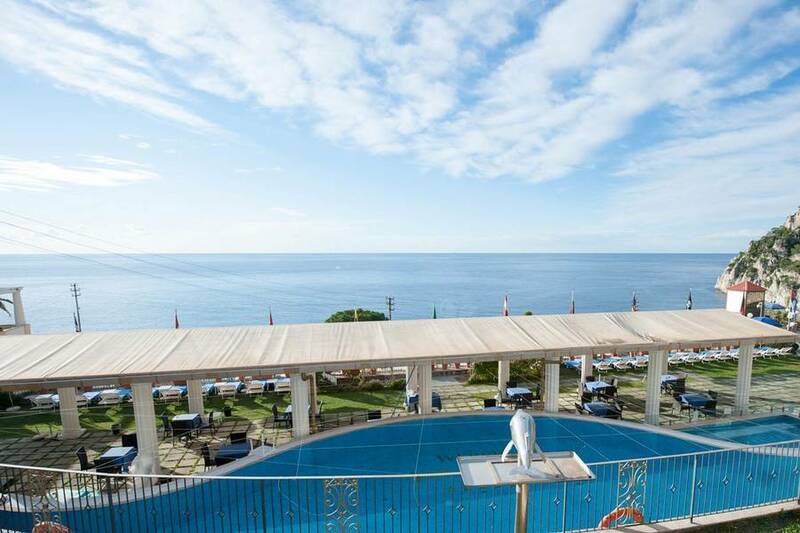 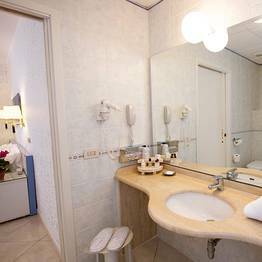 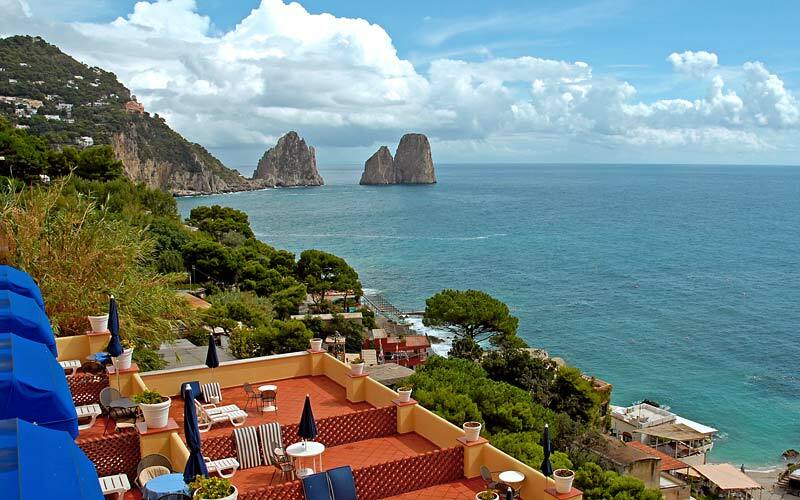 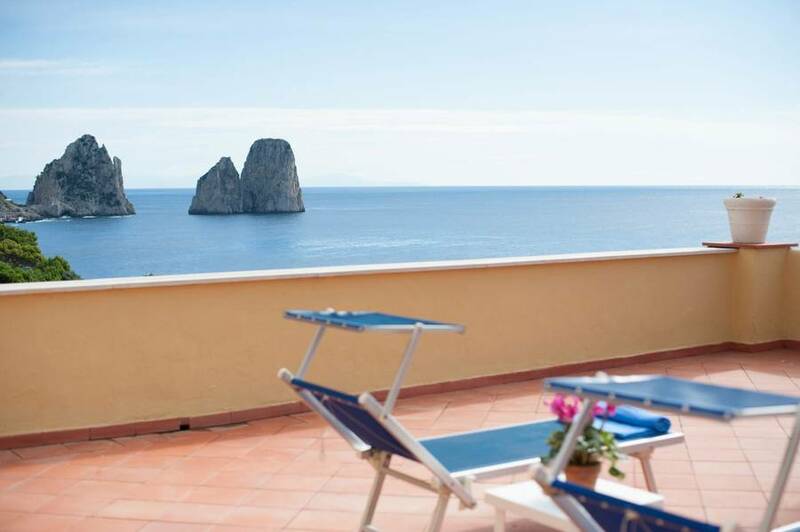 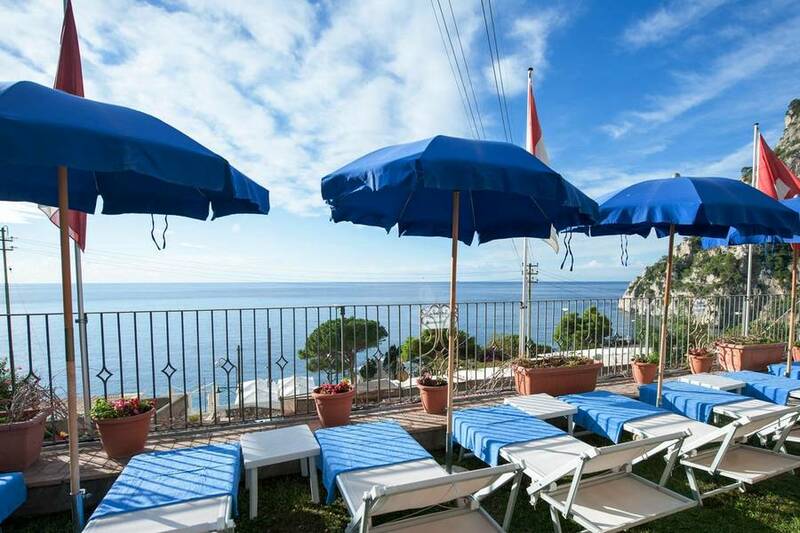 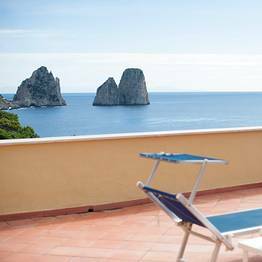 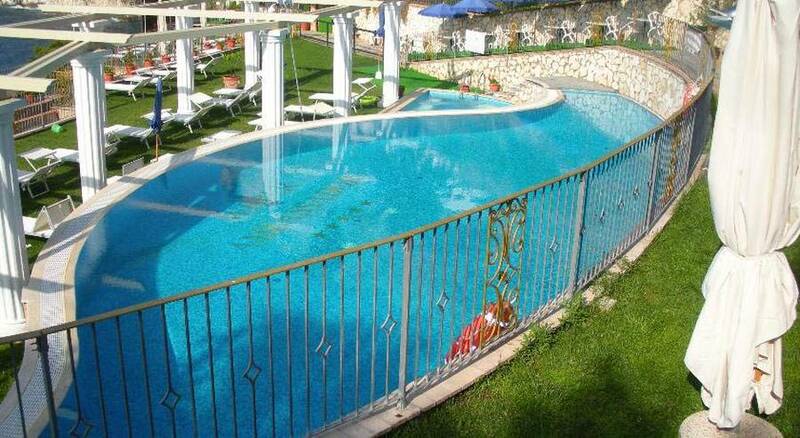 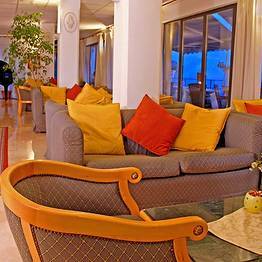 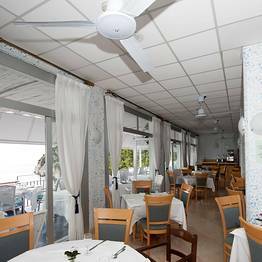 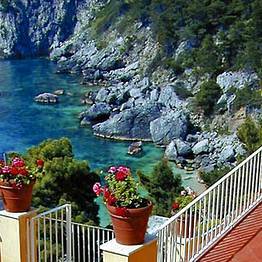 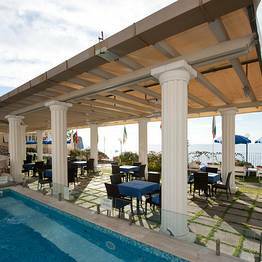 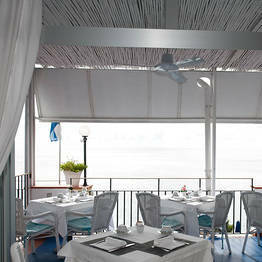 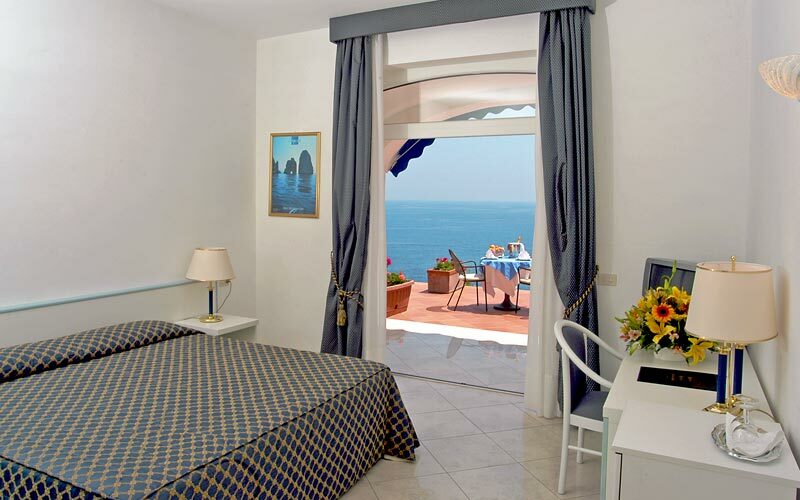 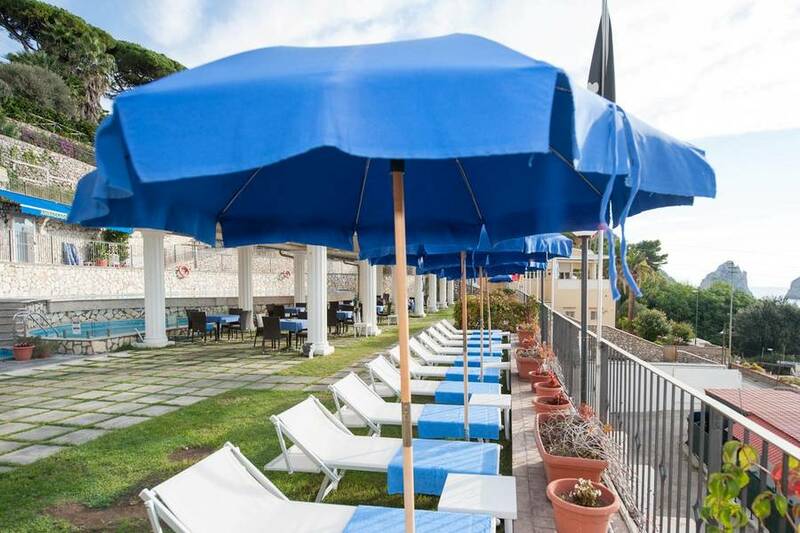 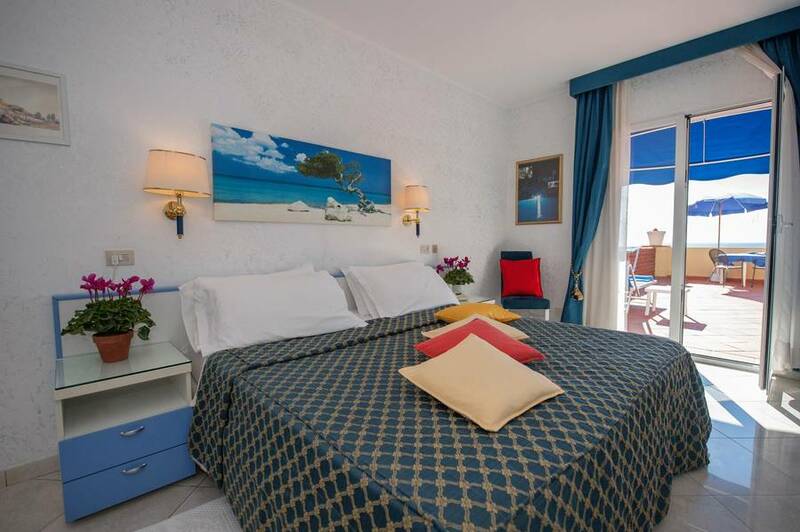 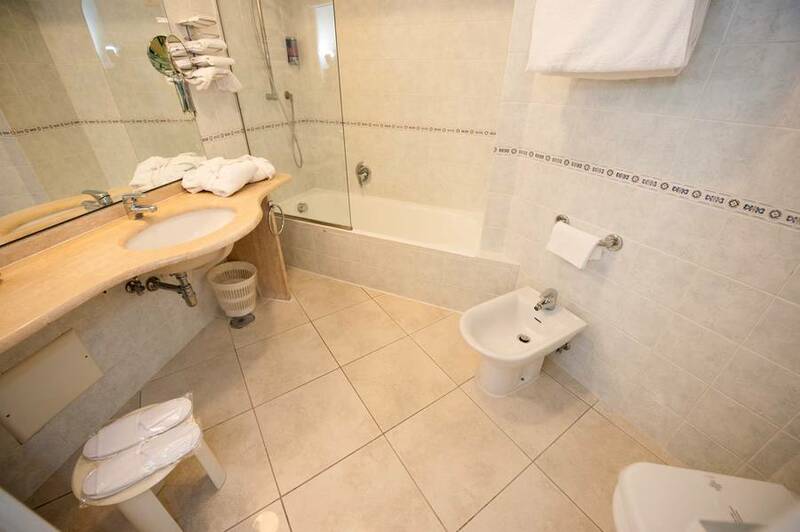 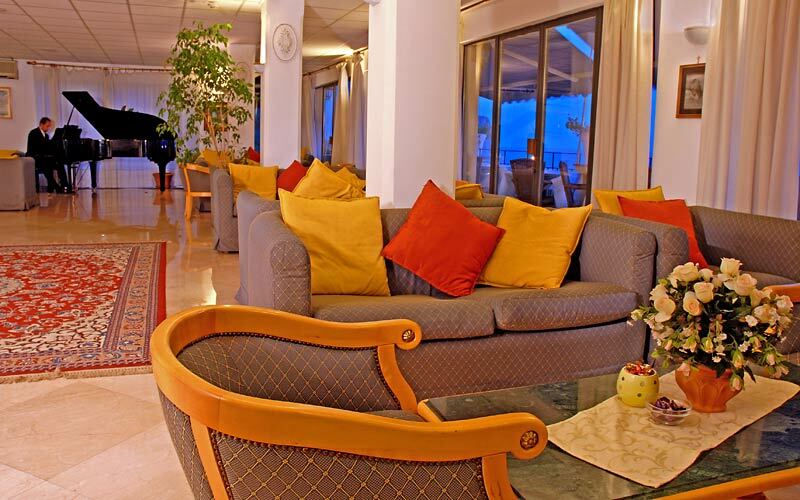 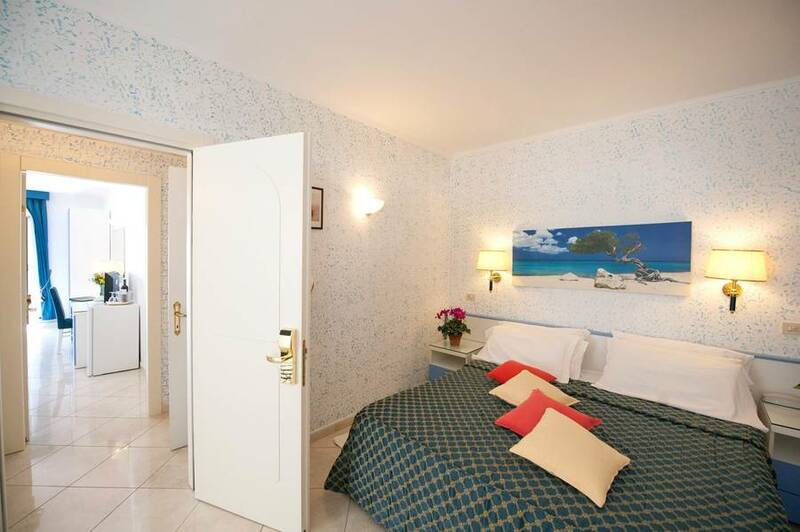 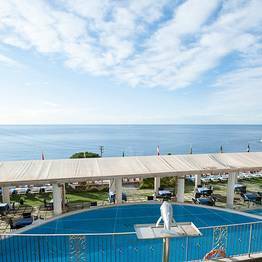 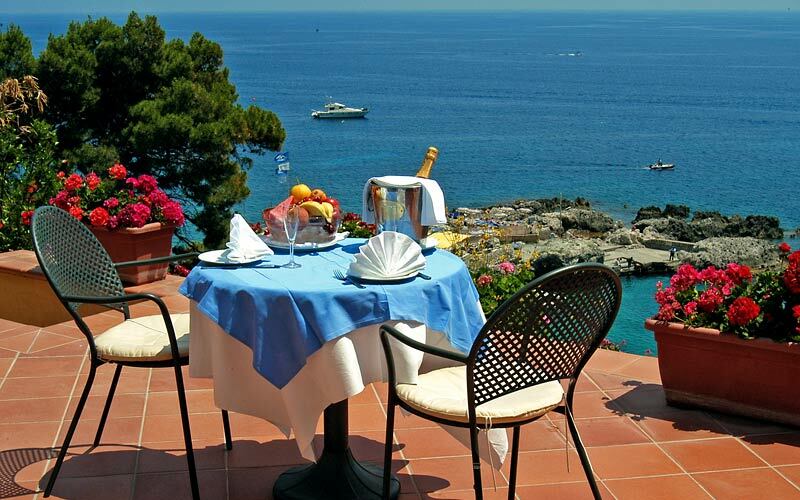 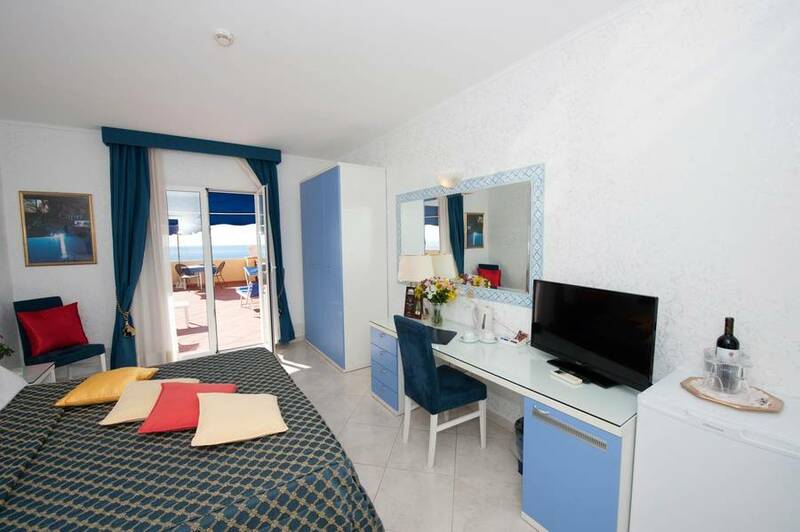 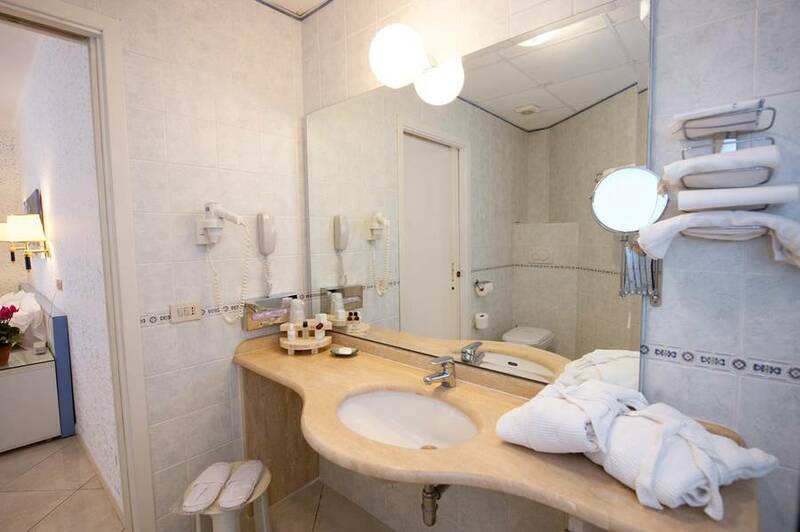 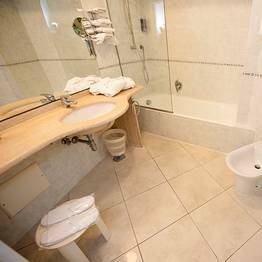 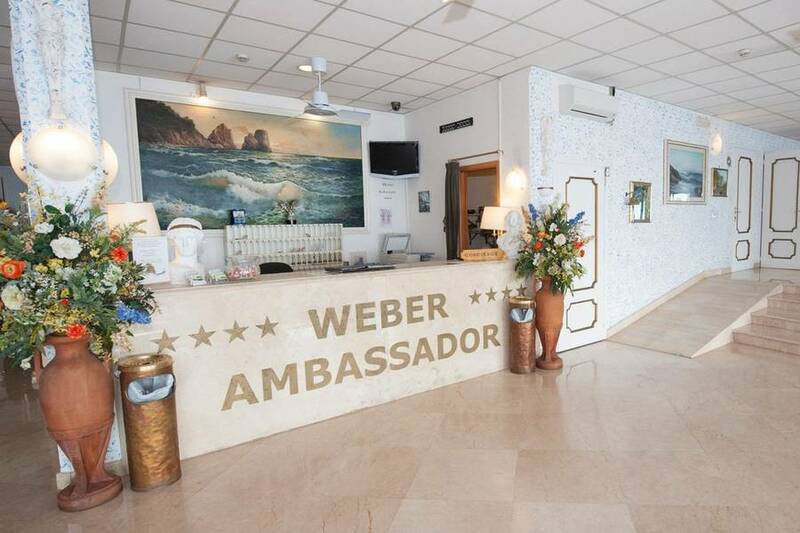 Hotel Ambassador Weber occupies a quite unbeatable position, in the picturesque bay of Marina Piccola. 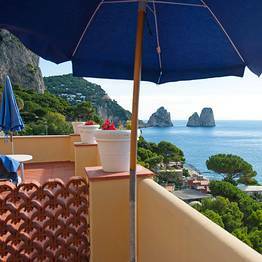 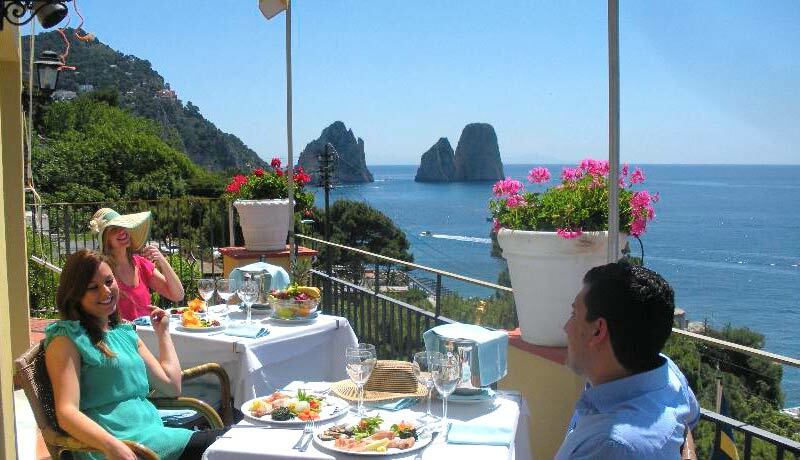 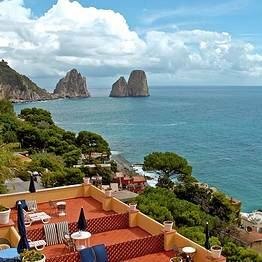 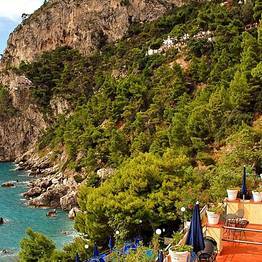 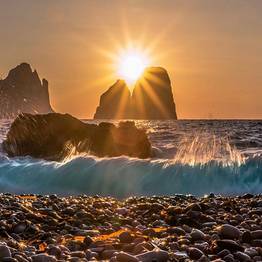 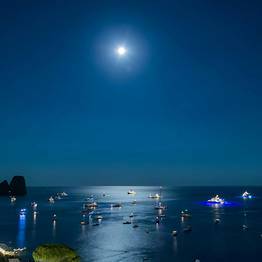 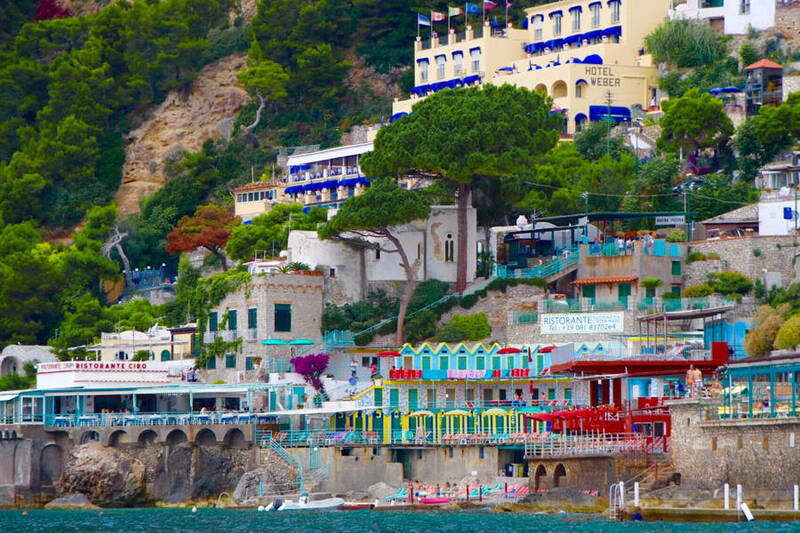 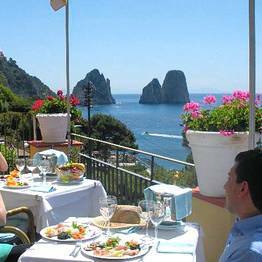 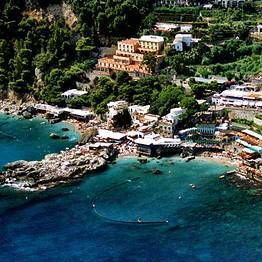 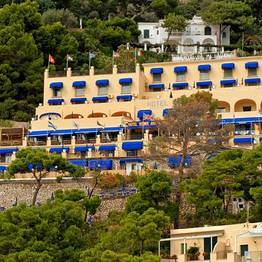 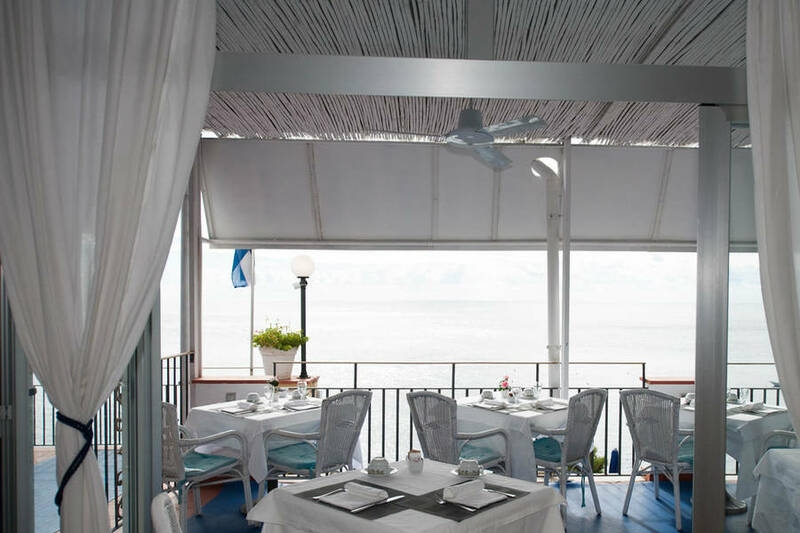 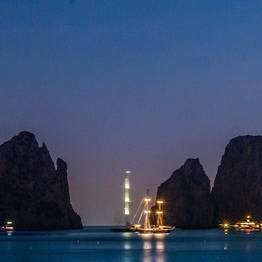 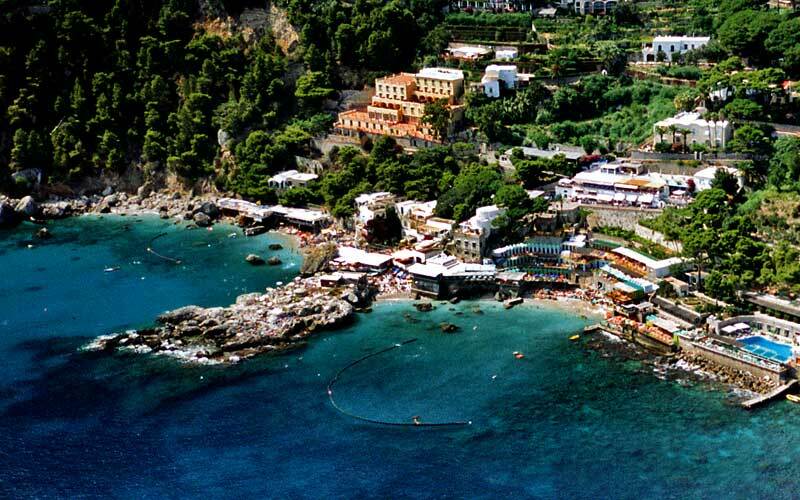 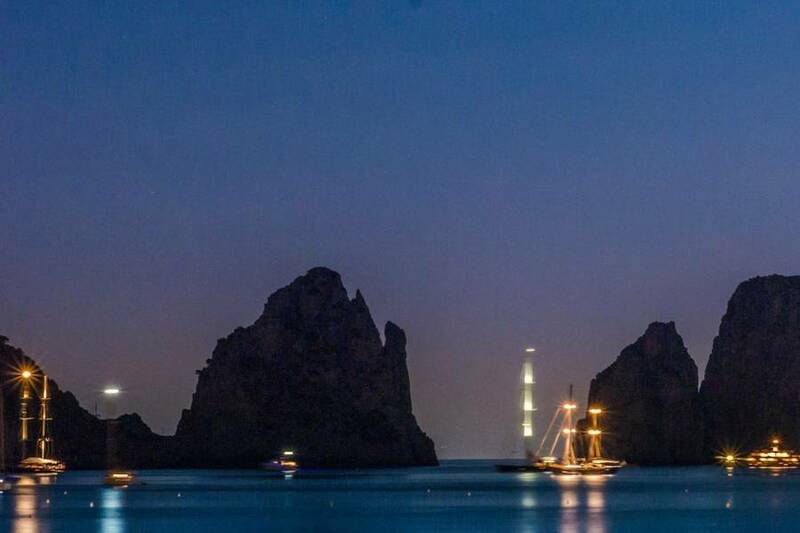 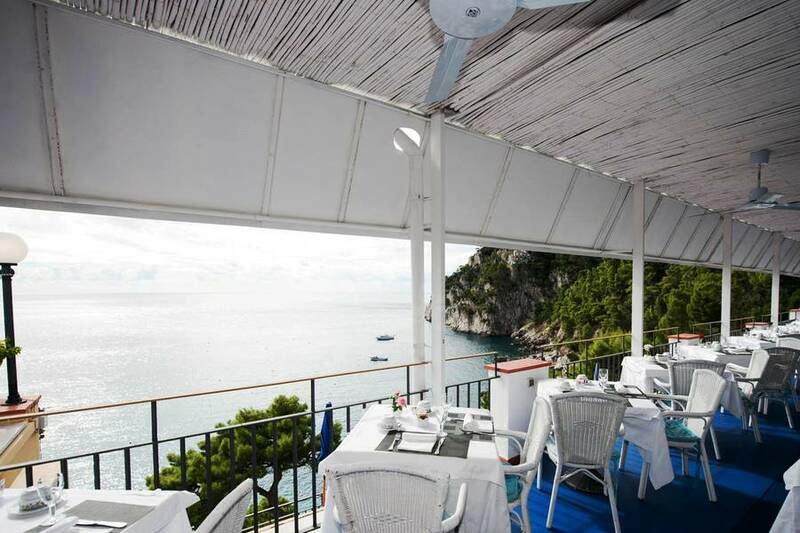 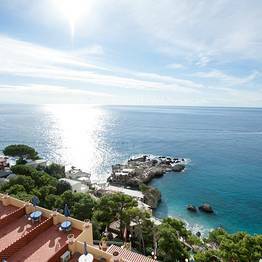 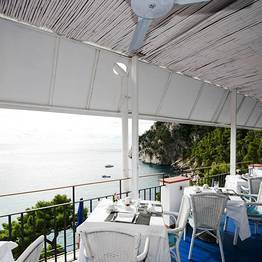 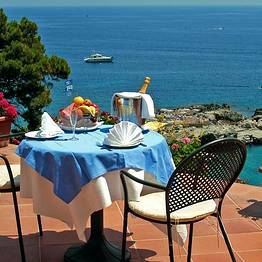 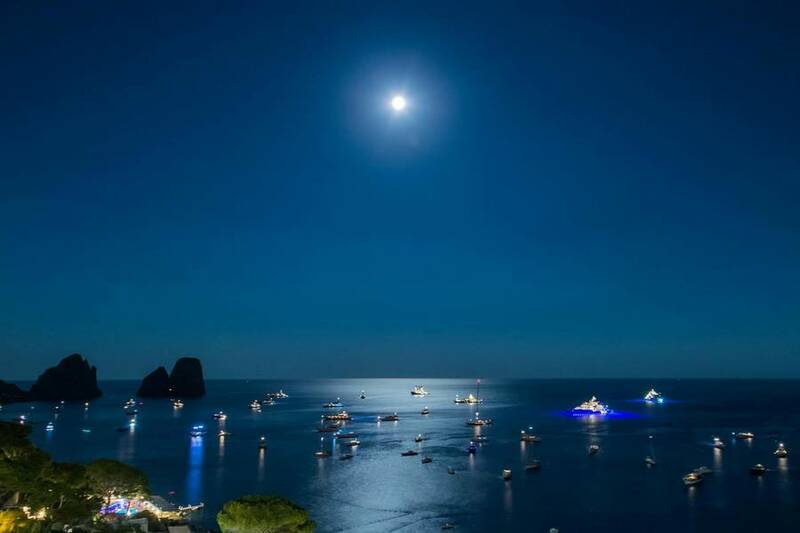 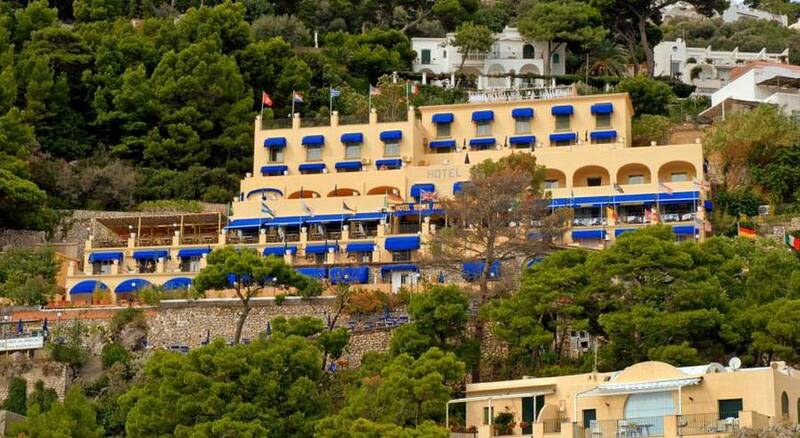 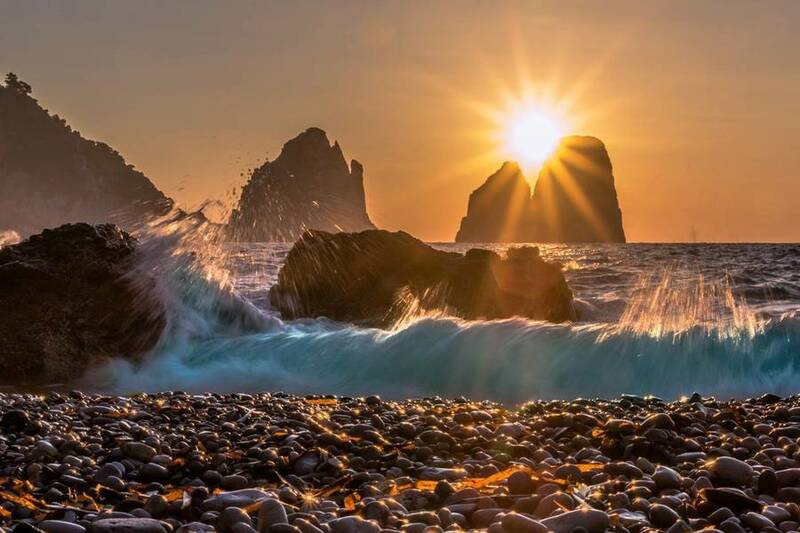 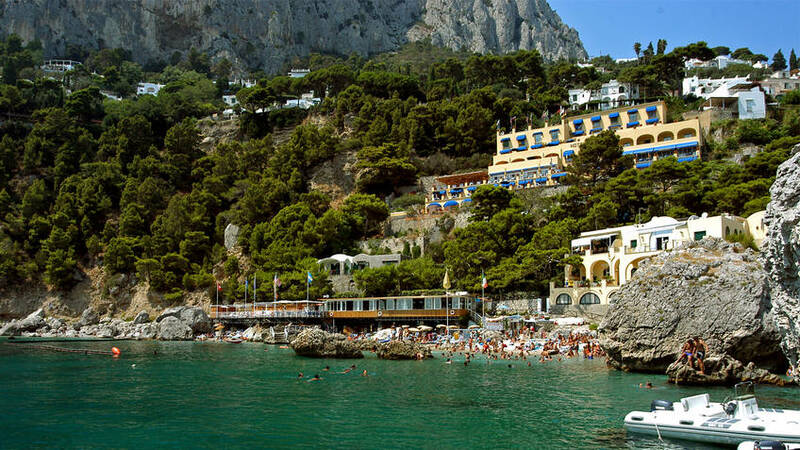 From here, this superb 4 star establishment gazes out across the sea, towards Capri's magnificent Faraglioni rocks. 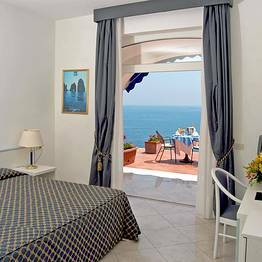 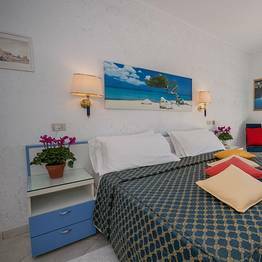 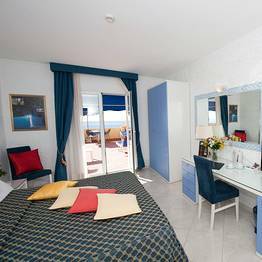 Bedrooms, almost all of which with private balcony or terrace overlooking the sea, are furnished in traditional Mediterranean fashion. 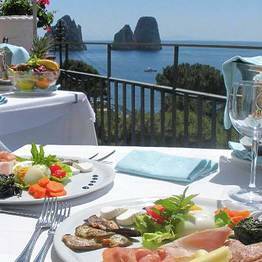 The generous buffet breakfast served on the terrace overlooking the Faraglioni is well worth waking up for. 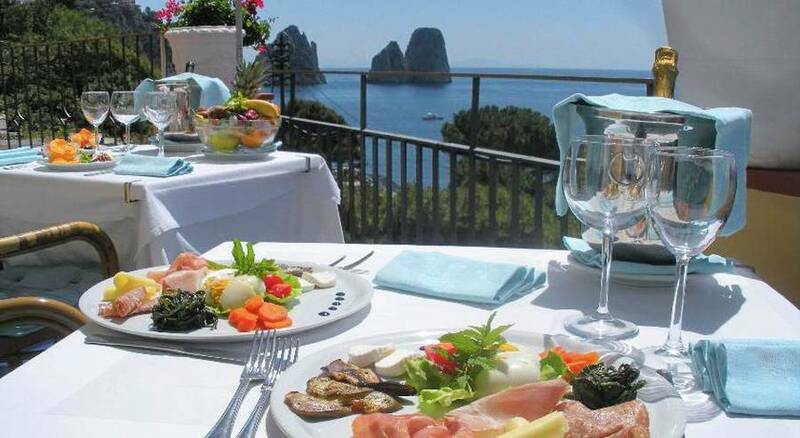 Over fifty hot and cold specialities, including fresh mozzarella cheese, Parma ham, freshly baked pastries and tropical fruits, ensure the perfect start to the day. 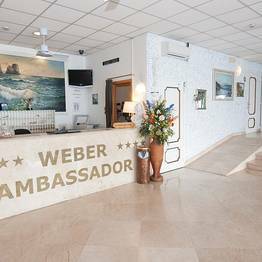 When they are not lounging on the sunny terraces, guests might well be found enjoying a drink at the Weber bar, in the main lobby. 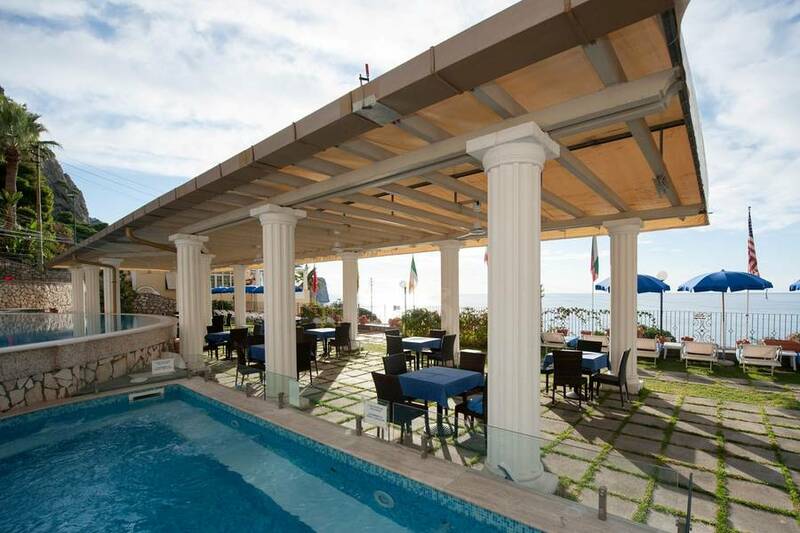 Those wishing to try their hand at a little fishing, are welcome to use the rods and nets provided free of charge by the hotel, and pass on their catch to the chef, who will be more than happy to transform it in dinner! 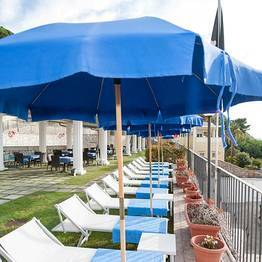 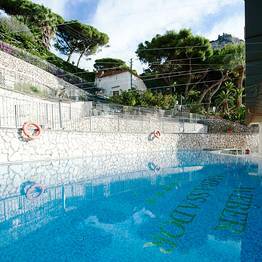 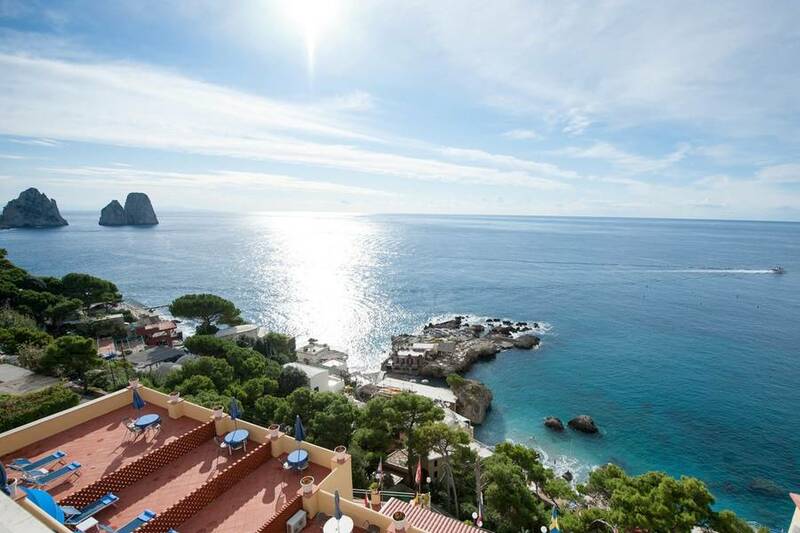 Guests can choose to take a dip in the sea of Marina Piccola, just steps away from the hotel, or in one of Hotel Ambassador Weber's three swimming pools. 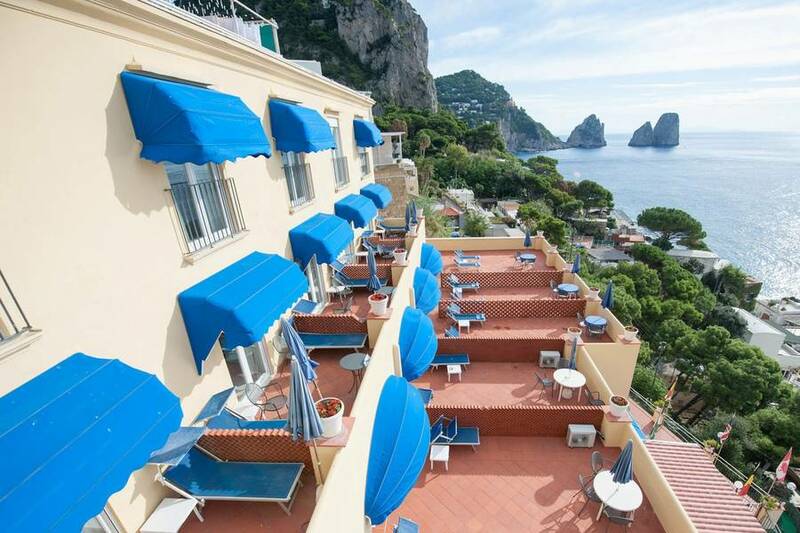 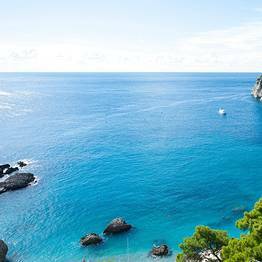 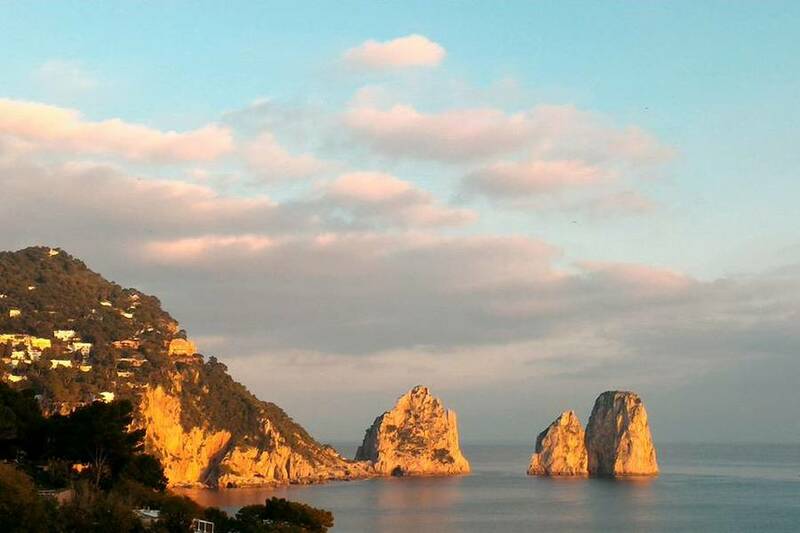 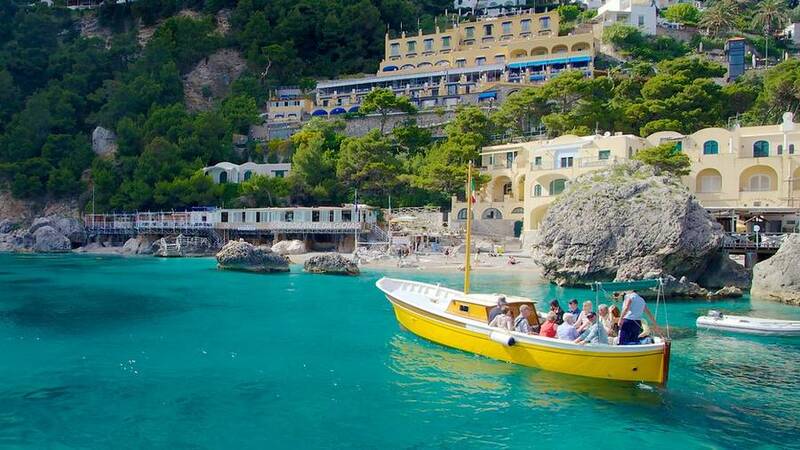 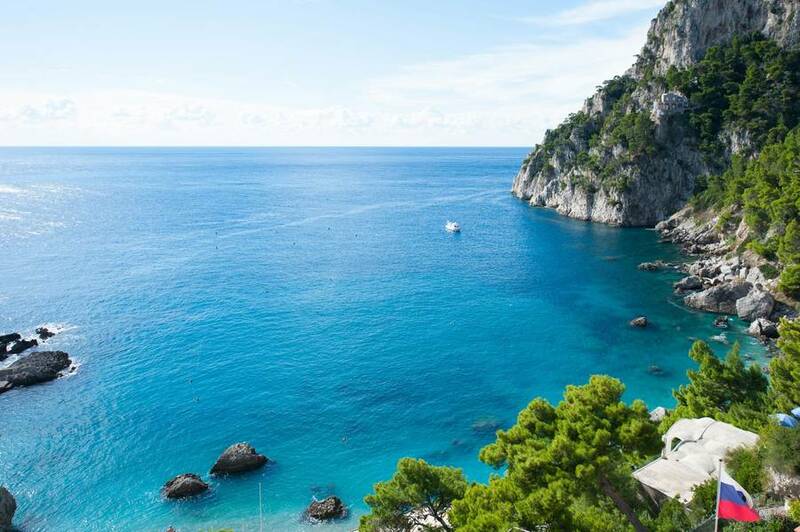 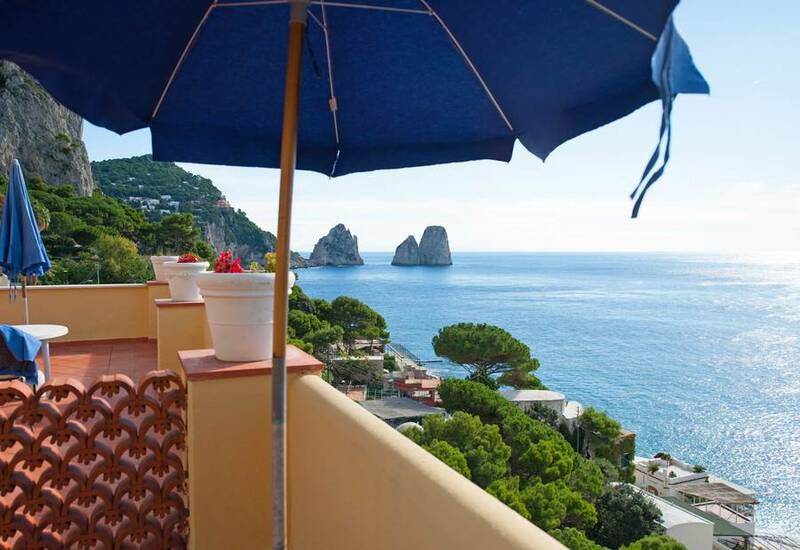 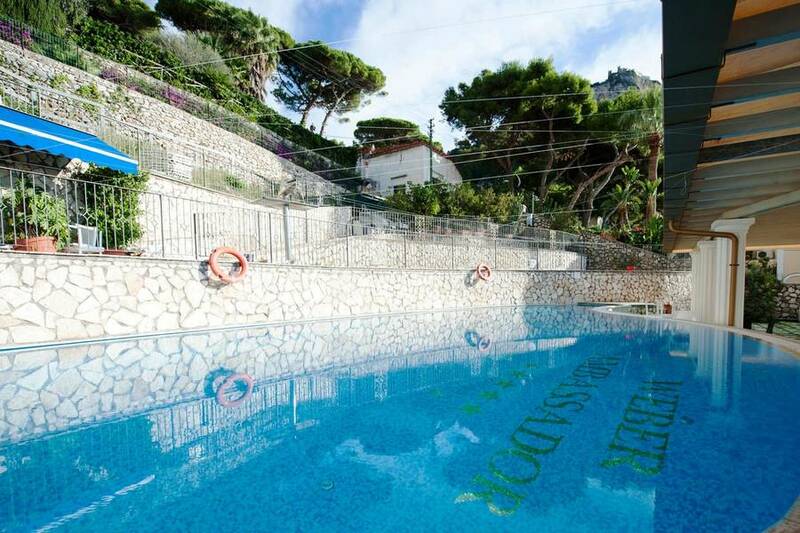 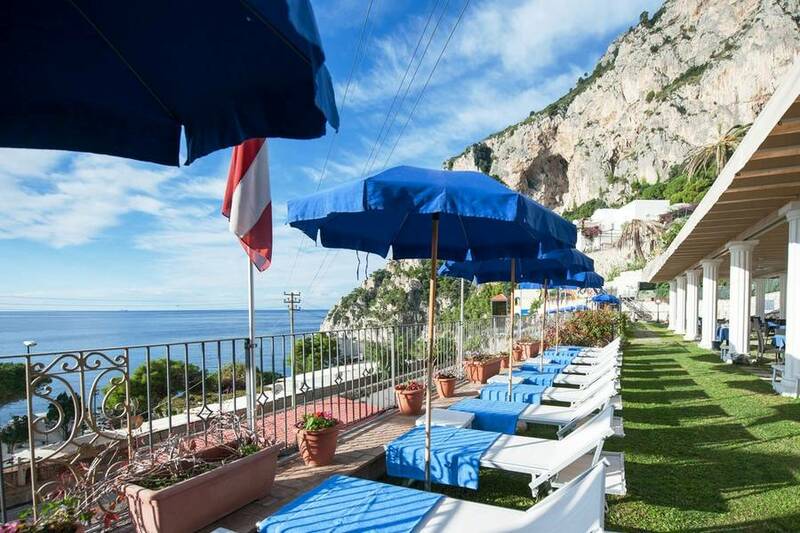 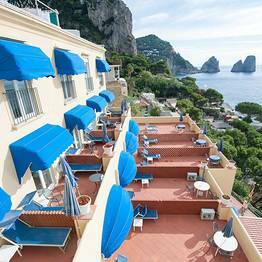 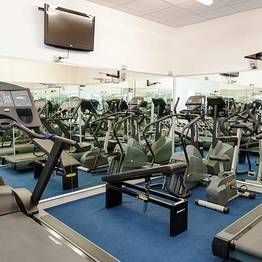 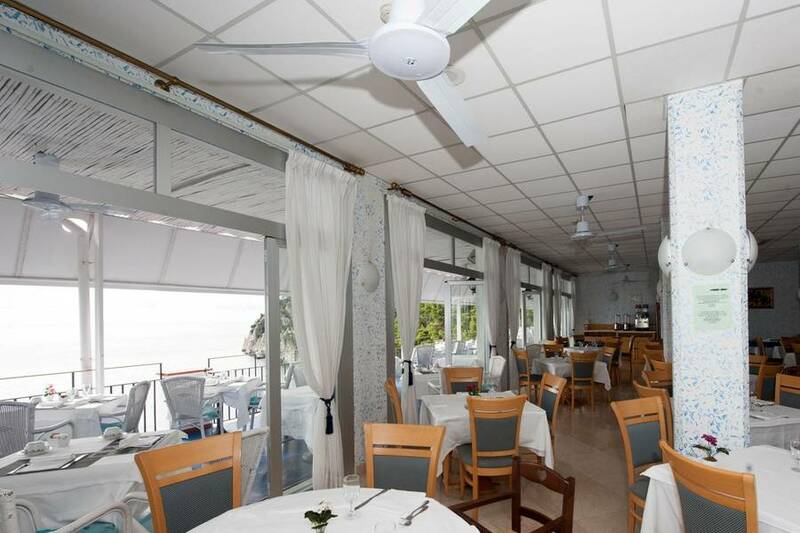 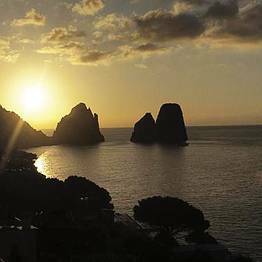 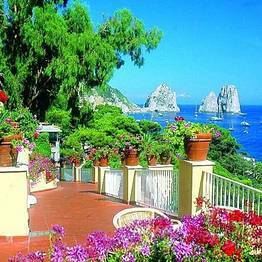 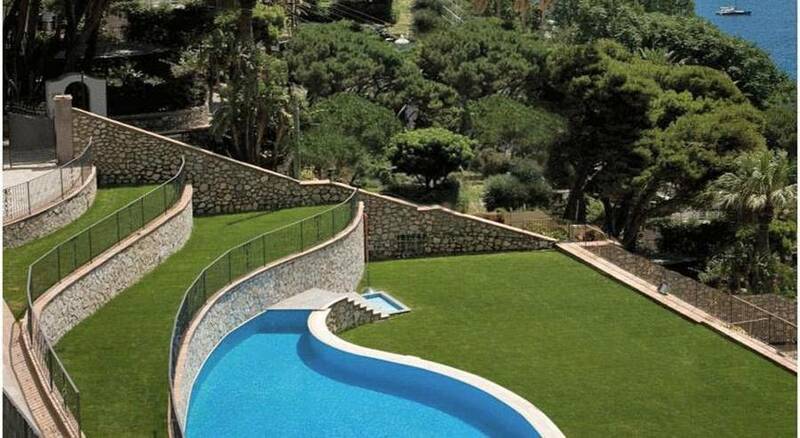 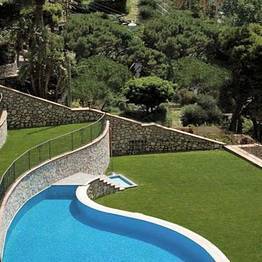 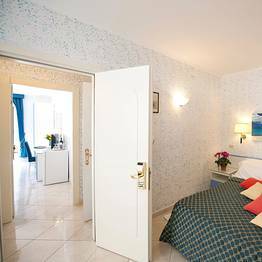 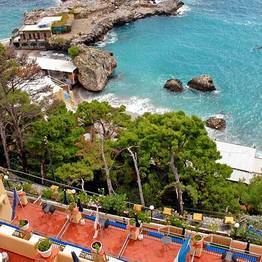 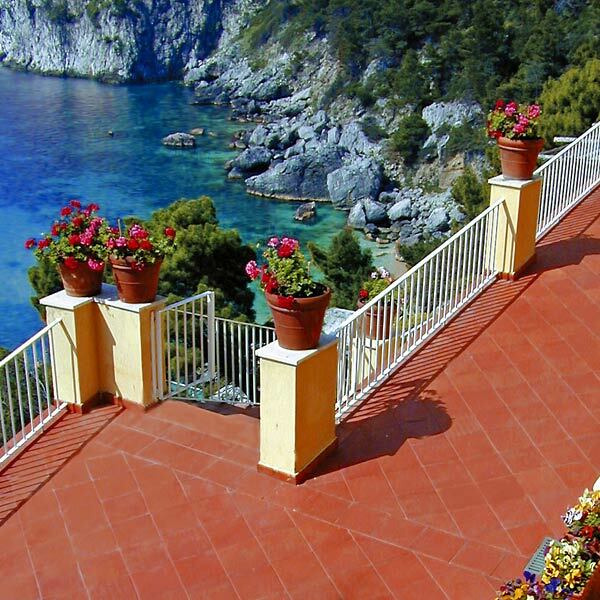 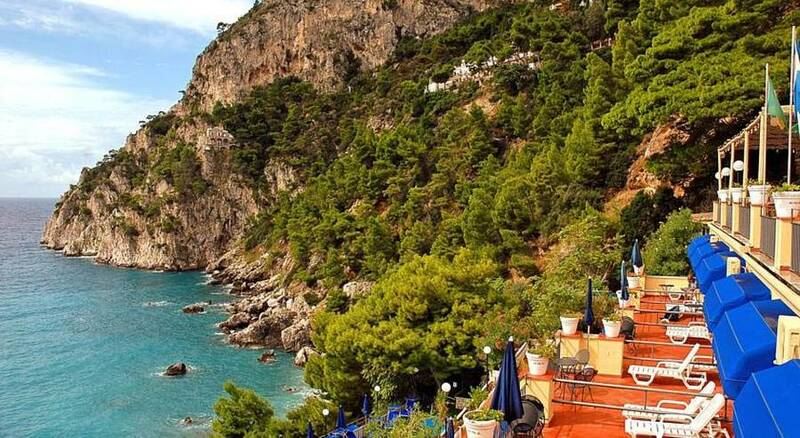 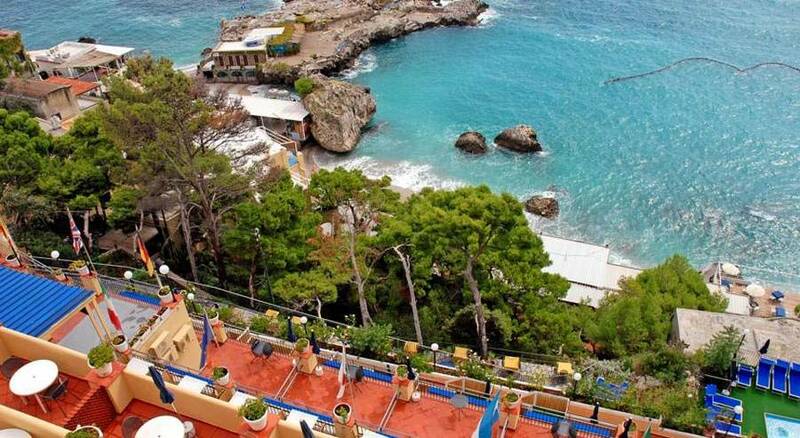 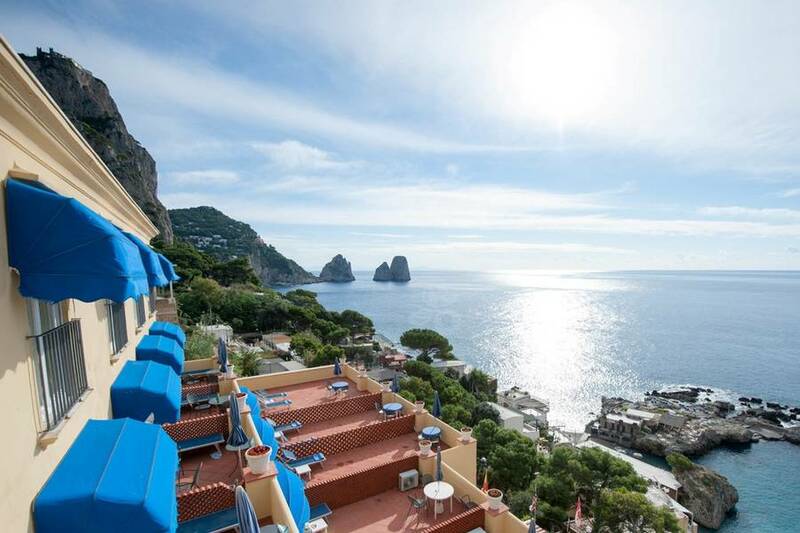 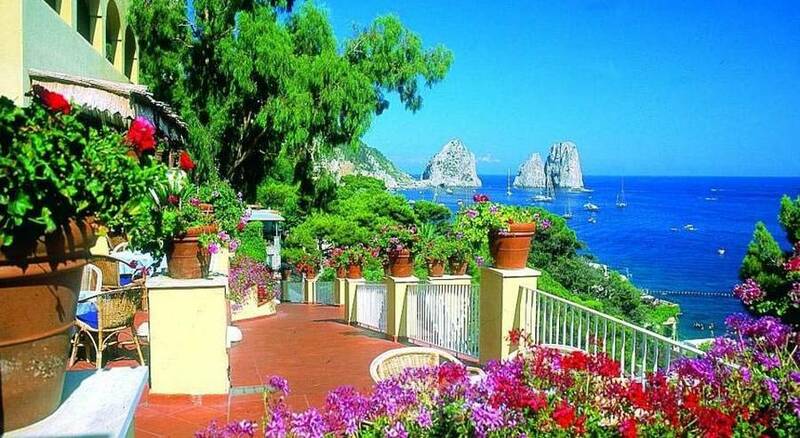 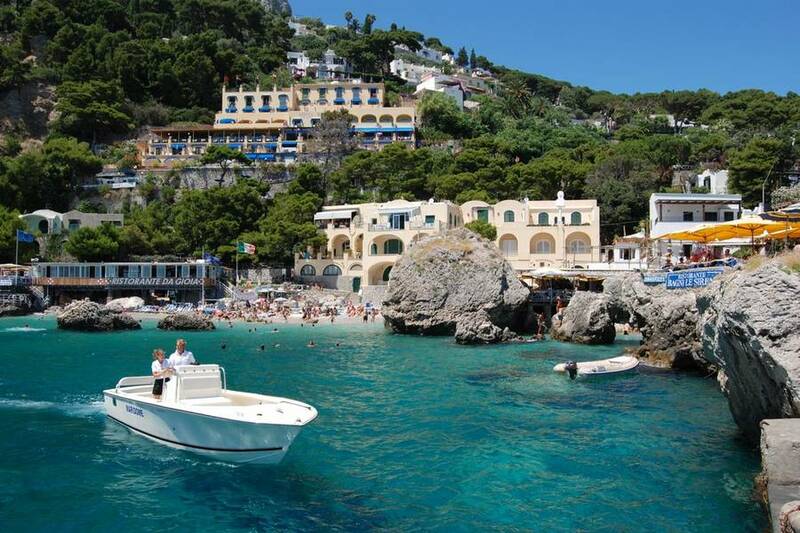 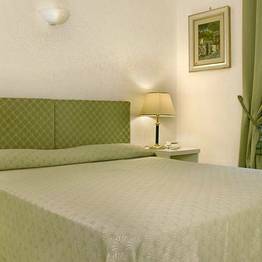 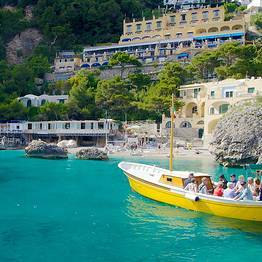 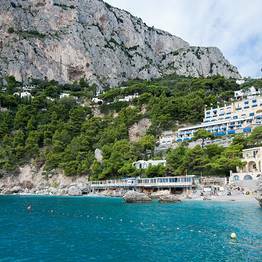 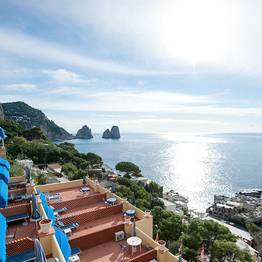 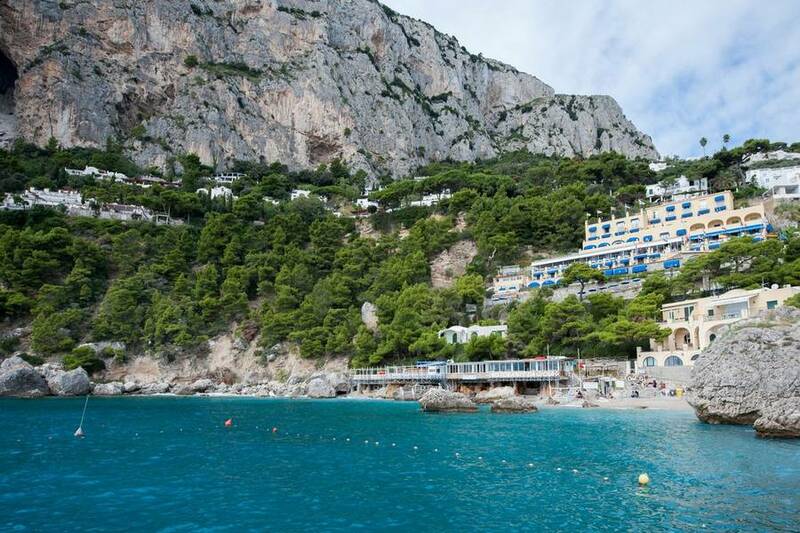 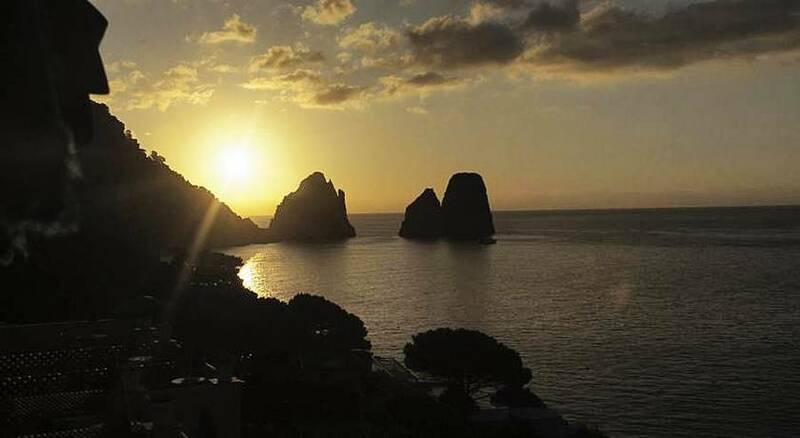 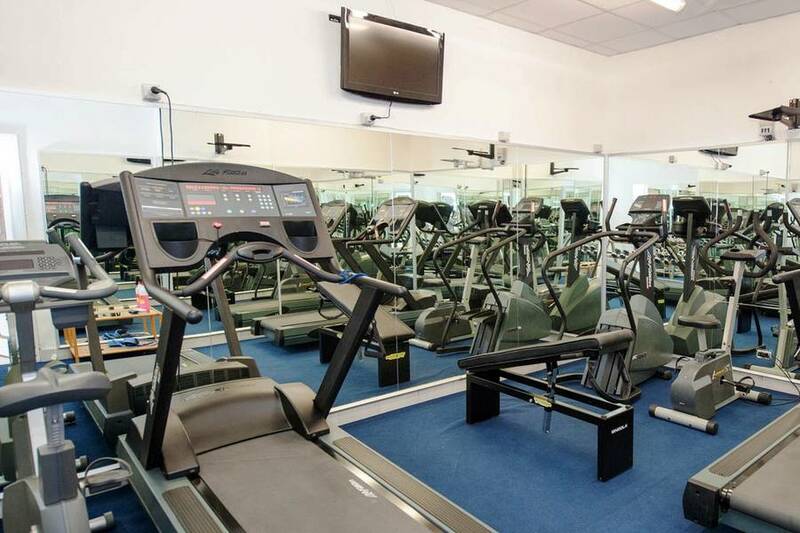 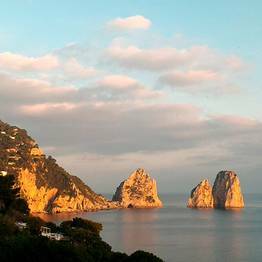 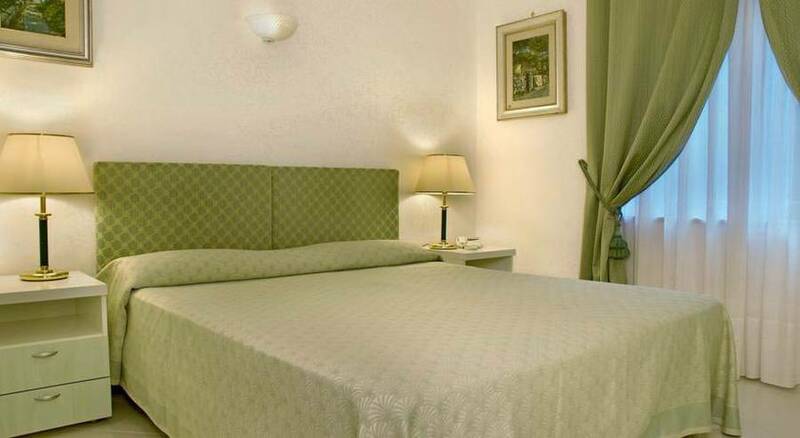 The center of Capri lies within walking distance of the hotel, by way of the Via Mulo road or the Via Krupp.